Refine your aesthetic with this classically elegant striped necktie in a minimalistic color palette of silvers, greys, blacks and ivories. The cool and urban stripes make a strong and graphic impact and instantly shift the focus to your savvy fashion ways. 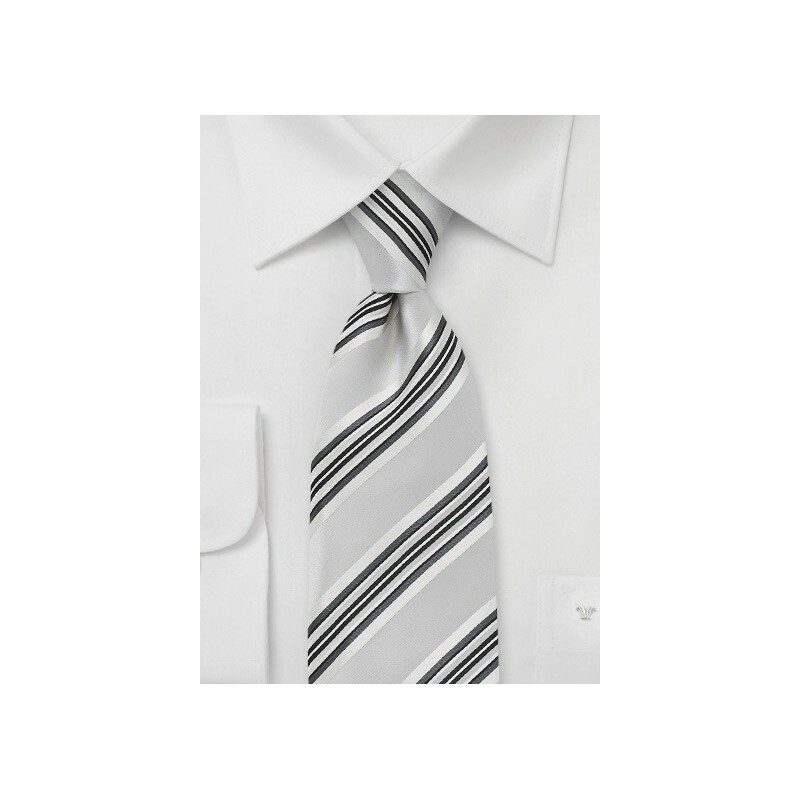 The clean shades of metallic silver have an optimal sheen that highlights the ties masculine and handsome design. 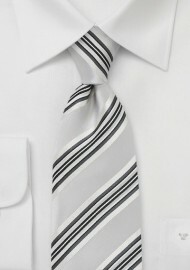 We love to see this tie paired with a well tailored black suit. Made from 100% pure silk.